Let Kudzu be your source for affordable quality lampshades and expert lamp repair. 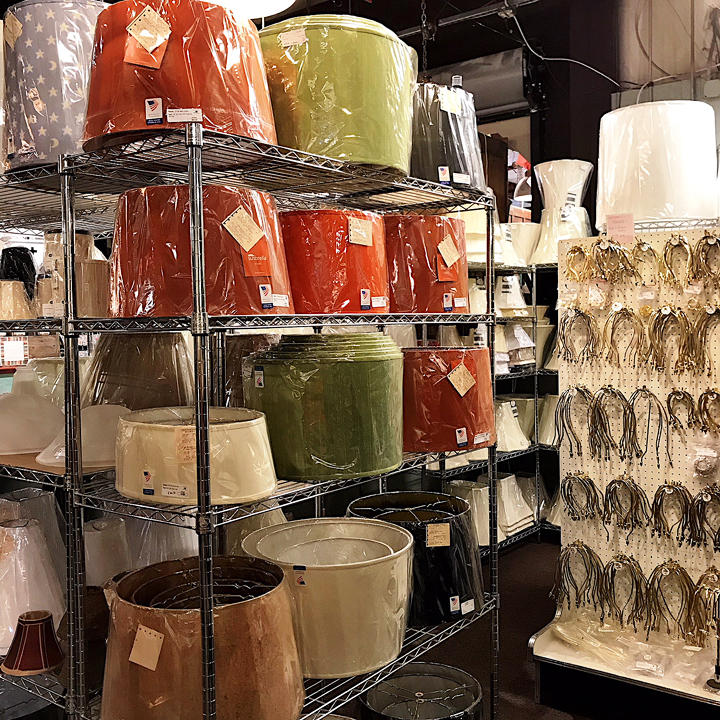 Our vendor Northstar Lamp Shades offers a great selection of quality shades and can even special order any particular size or color you might be looking for. Lucky Lamp Repair, an independent business located within Kudzu, offers expert repairs to most types of lamps and chandeliers, and you can even commission them to transform almost anything into a lighting fixture. Most repairs will be done in under three weeks, or less. Walk-ins are welcome and you can drop off items for repair any time during normal shop hours. And while you’re here, check out Kudzu’s great selection of unusual lighting, both antique, vintage and new!